Then the beautiful sacrament began, and something wonderful happened! 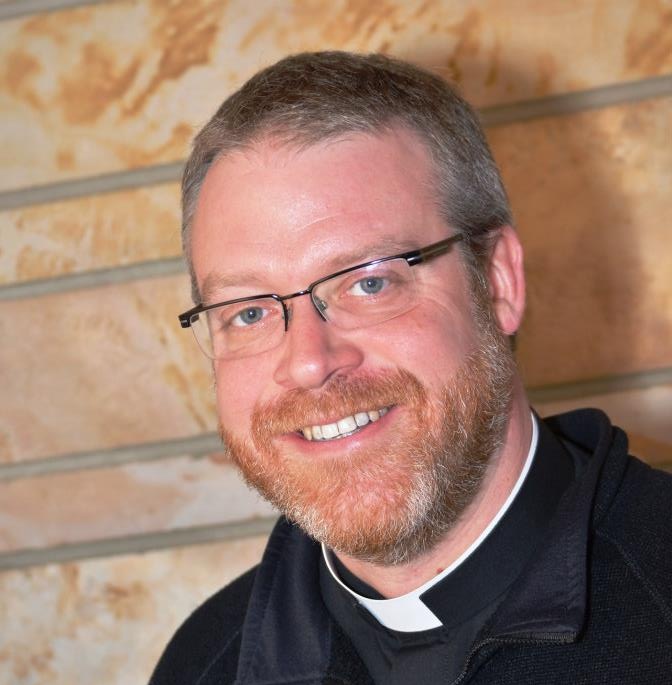 It was like Father Eric was given a special grace, bolstered by the sacrament and he no longer looked tired anymore - he was totally present, attentive, along with someone else, our Lord, I could feel it. As I listened to his instruction I could see the compassion in his eyes and it hit me how much he was giving to me, he was giving all, not because it was his job, but because of a deep love for God and for me. Me, someone he just met not very long ago. As I walked away after absolution this realization hit me, he had not only given this all for me, but all those before me and the ones that would come after would get the same 100% from him. I so wanted to help him in some way, but how? I wondered if he had gotten anything to eat at all during these long hours, if he was hungry or thirsty. But I knew there was nothing I could physically do for him, because I knew that at this moment the sacrament was more important to him than food or drink, or even rest. So as I prayed my penance, I wondered what I could do - the only thing I could do was to pray for for him that God would help him with whatever he must do to be our Priest. This is why we love our Priests, because even if they don't realize it, we DO SEE and appreciate what they give for us - they give all. Thank you Father Eric, thank you for being one of God's Priests and giving me such a beautiful gift in the Sacrament of Reconciliation, for I realize that in giving all sometimes doesn't mean giving your life, sometimes it means sitting in a hard chair for hours so that souls can receive the Sacrament of Reconciliation and will not be lost. God Bless you.